Dr. Beaudoin is certified as a plastic surgeon by the Collège des médecins et chirurgiens du Québec and the Royal College of Canada. He is also a member of the Quebec Association of Specialists in Plastic and Aesthetic Surgery (ASPEQ) and the Canadian Society of Plastic Surgeons du Canada. He has been associated with the Lachine, LaSalle and Verdun and other hospitals in southwest Montreal, and was also involved in establishing a plastic surgery unit at the Anna Laberge hospital in Châteauguay, from 1988 to 2000. He sits on and chairs a number of administrative committees at these hospitals and is still the head of plastic surgery at the LaSalle and Verdun hospitals. 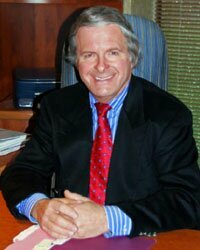 Dr. Beaudoin has been Chairman of the National Joint Committee for over 20 years. He was in fact the founder of the Committee, which is responsible for producing informative brochures on plastic surgery for plastic surgeons' clients across Canada, in both languages. To date, about one-third of plastic surgeons in Canada use these brochures in their daily practice, and approximately 600,000 brochures have been distributed since they were first published. Dr. Beaudoin is responsible for updating these brochures and making the necessary corrections or additions to reflect new technology. He has had his office on Nuns' Island for over 20 years, with a stable, caring staff. In addition to being affiliated with two hospitals, Dr. Beaudoin practises aesthetic surgery at one of the most high-tech clinics in Greater Montreal, the Institut de polychirurgie de Montréal, as one of about ten aesthetic surgeons. The clinic is also located on Nuns' Island, very close to his office. An aesthetic surgery consultation may last from 30 to 45 minutes. During the interview, the problem will be analyzed carefully from all angles. The surgeon listens closely to the patient, so as to understand all his or her needs. Dr. Beaudoin considers it his duty to inform clients fully and make sure that they properly understand everything he tells them. A second visit may sometimes be necessary in certain cases. The main goal of the surgery is a satisfied patient.